It was a superb evening at Liuna Station, in Hamilton (Ontario), recently, featuring animation of the crowd with Zacada Entertainment stilt-walkers, sand art, our moving table artist and crystal ball magician. A delicious meal for the 375 patrons in attendance was served by the wonderful & competent Liuna staff. As people settled into dessert Zacada Entertainment presented a 45 minute energizing circus extravaganza with juggling, contortion, clowning, silk work, aerial hoop, breakdancing and a lot more. At the end of the night the patrons were on their feet celebrating the success of their conference and applauding the talented circus performers in the beautiful location. To coin to phrase, 'a good time was had by all'! 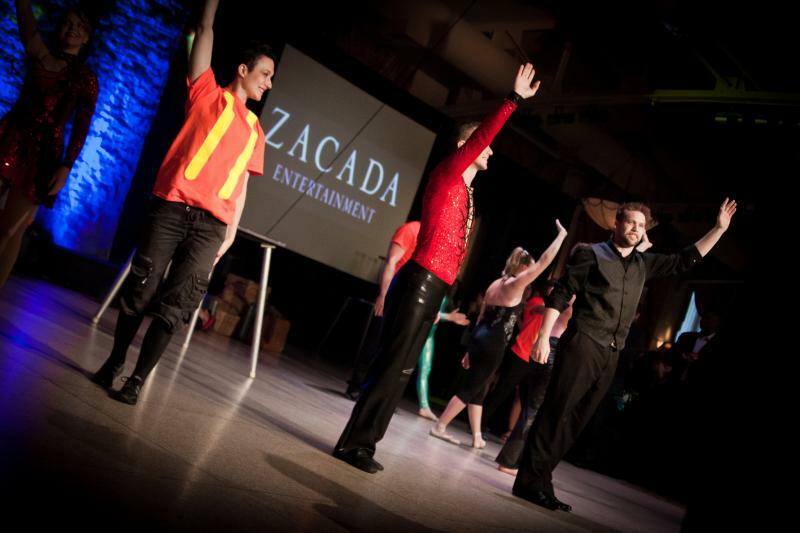 Talk to us at Zacada entertainment about how we can bring your event life for you in a way that your organization won't soon forget!